Louisa May Opal Sparkles, aka Sparky. Photo by keagiles. Here’s my pokey little puppy, Sparkles, adopted New Year’s Eve 2016. She’s not a puppy, but she looks and acts like one. I hate to use the term “pokey” in her case, because she can still zip around, but she has some handicaps. It looks to the vet like she was hit by a car sometime in her life, breaking her front right paw and pulling/ripping a bunch of connective tissue to the shoulder and … breaking her pelvis. It hurts my heart to think that someone didn’t take care of her when she needed it. She is often in pain and does have trouble playing normally with other dogs, which is sad. So, that’s not so neato. Why then is she on my KeaNeato blog? Well, she’s the best thing that ever happened to me in 2016 and 2017 so far! 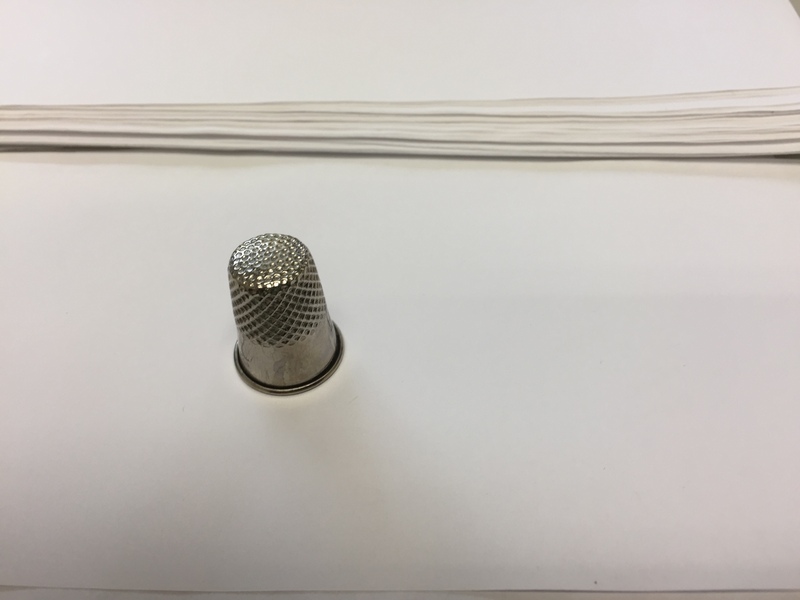 When I was a kid, my mother used to play “find the thimble” with us … she’d hide it somewhere in the house and that would keep my brothers and me busy for some time! I took this photo with my iPhone and it’s pretty neato! It looks, to me anyway, like the thimble is levitating off the page. I couldn’t resist (you know my penchant for bubbles). “Five organisms find home in sea foam,” by Chris Drudge. I also like the way their post cares about your time — listing the number of words and about how long it will take the average reader to read it (600 words, ~3 min.). 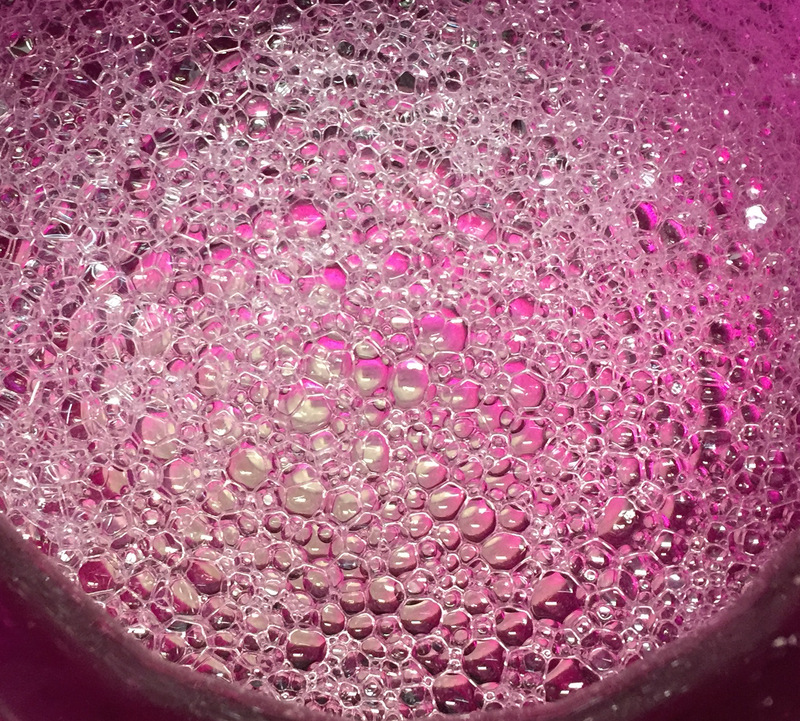 The header for this blog is a closeup of Diet Coke bubbles. Nothing like having a digital camera handy when you’re bored feeling creative and curious. Now here’s something even neater: Have a look this work by Linda Biba via Bored Panda. Purple soap bubbles by keagiles.